When 2018 wrapped up, we saw the rental market in South Africa continue to struggle. According to PayProp's Rental Index Report from June 2018, the average national rental growth rate has trended even further downward, with a year-on-year increase of just 3.27% for June 2018, compared to a 6.72% increase a year ago. 1. People are renting for much longer. Because individuals are generally choosing to co-habit later and have children at a later age, they’re living in rented apartments for many more years than they did decades before. 2. They don’t want to be tied down. Many people in this age group are choosing to live much more transient lifestyles. They want to travel and live in different countries, cities or suburbs – so rather than being pinned down to one property in one place, they’d rather enjoy the freedom that renting offers, compared to the responsibility that comes with owning a house. 3. Home ownership is expensive. Compared to even 10 years ago, homes are becoming more and more expensive to buy in larger cities, which means people are struggling to afford to buy a house in the first place – so they’re having to rent a place instead. In the past, tenants have always been the “forgotten child” in the property industry – but as a result of the above mentioned factors, we’re seeing a huge organic growth in the rental market – both in South Africa and globally. In this context, the answer for the overall rental downturn may lie in taking a macro-economic view. In 2018, South Africa was in a protracted recession and saw many other factors negatively affecting the economy. Rentals are closely connected to the growth of the economy, so it follows that as the economy shrinks, so too does the rental market. The other factor is that consumer debt in South Africa continues to be high: the amount of revolving credit and the number of accounts in arrears have both increased year-on-year. This all points to the fact that households are battling to manage their debt – which in a consumer context means people are either late on paying their rent, or they’re not able to afford to pay their rent at all. That all said, it is essential that property professionals – whether that means large or small landlords, property management companies or estate agents – empower Generation Rent. The first thing is to facilitate the match between tenants and their perfect spaces. We’re seeing that while a lot of tenants are looking for somewhere to live, they’re not necessarily finding the right vacancy for their needs. One way to solve this is to use technology to be able to match tenants to landlords, based on market behaviour. By providing Generation Rent access to a tenant marketplace that can better help them find the property they’re looking for will go a long way in empowering them. The second thing property professionals can do is to incentivise people to pay their rent on time. Historically, the rental industry has only ever attached a negative consequence to paying rent late, with a late fine or penalty. But what about offering something positive instead, like a shopping, entertainment, connectivity or transport voucher in return for a timely (or even early) rental payment? In this way, the tenant is rewarded for paying on time, and the landlord’s cash flow improves at the same time. It is essential to look at the millennial demographic for rental housing, and see what their struggles are, plus what’s important to them. As renting becomes more expensive with the increase in inflation each year, we’re seeing that people have less and less money to live on. At Flow, our idea to fix this is to say: let’s help people use their rental payment as a way to subsidise their lifestyles – whether it’s getting discounts on transport, or data for their phone, or entertainment costs. We’re helping them discount their lifestyles, while incentivising behaviour that benefits the landlords too. Finally, it’s important to realise that the rental market still operates in a very low-tech, almost manual environment. But in a broader context, millennials have become perfectly comfortable with conducting a large portion of their daily lives on a mobile app – whether it’s ordering an Uber, booking an Airbnb or even grocery shopping through apps like Zulzi. With this in mind, why shouldn’t people be able to manage their permanent residential arrangement via a mobile app too? By looking closely at the millennial age group within a broader context of the greater South African economy and rental trends in general, we believe that we can both empower Generation Rent and benefit property professionals in the process. 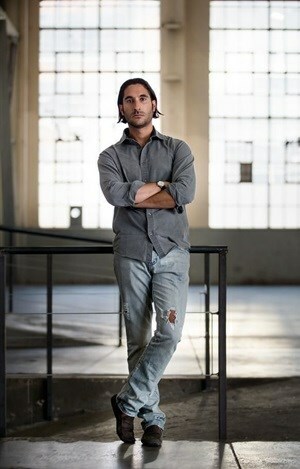 Jonathan Liebmann is a co-founder of Flow, a proptech ("property technology") startup revolutionising the rental space and creating an entire tenant ecosystem that helps build a community for millennial renters who are known as Generation Rent. Liebmann is notorious for being a property disruptor and innovator, and is known for pioneering South Africa's largest urban revival to date in Maboneng. How is Liebmann allowed to write op-eds on real estate after he mismanaged his inner-city development company to the point where now all of Maboneng's homeowners are stuck with increased levies and half-finished buildings (Hallmark House) due to Propertuity's bankruptcy. What do you say to your investors? !